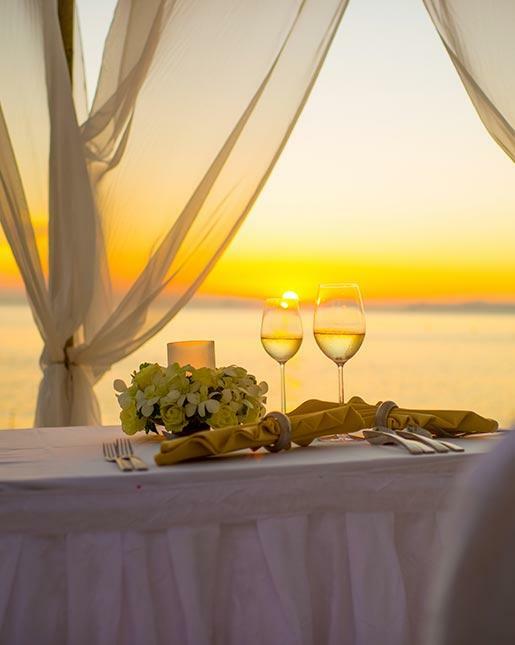 Let our exclusive beach become your restaurant and host a romantic dinner date in a secluded location by the sea. Gaze out to the horizon in barefoot luxury as the sun makes its glowing retreat for the day. Share a sunset cocktail or bottle of sparkling. Choose from a carefully crafted and tailored selection of menus to suit every palate. Recline by our luxury beach campfire for a nightcap before retiring to your luxurious accommodation for the night.